How do you become a legend? Well, it depends on what kind of legend you want to be. If you're looking to become a baseball legend? Start early and practice. Want to become a rock legend? Get used to wear spandex, pleather pants, start early, and practice. If you want to become a. . . well, how do we say this? If you want to become a stoner legend you don't actually even need to practice just invest in this simple Cheech accessory kit! You'll have everything you need to start your comedy career, you don't even need to travel cross country in a car made of marijuana. It's probably a good idea to stave off that road trip until more states legalize the leaf. 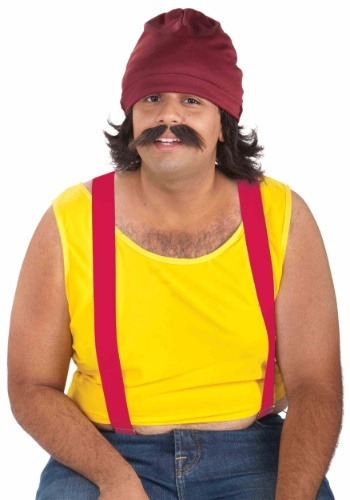 You'll look just like this comedy legend when you're wearing his instantly recognizable head gear, just find yourself a yellow tank top and you're ready to rock.